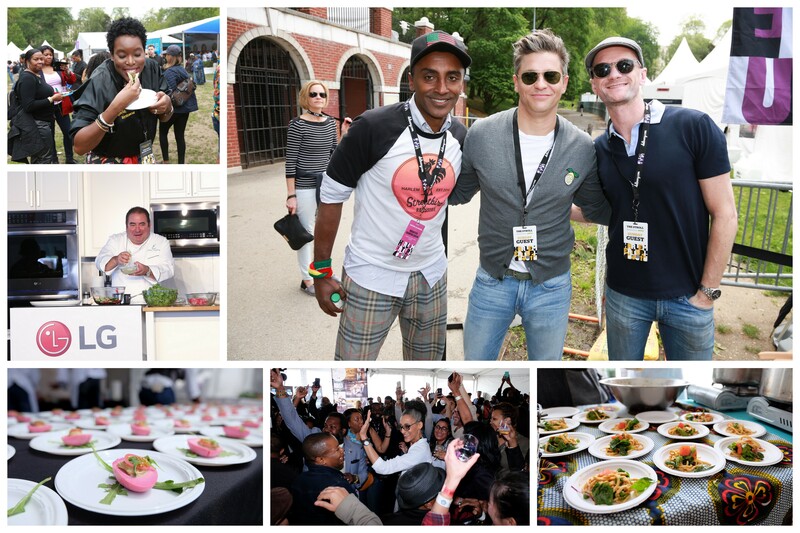 The wonderful weekend of May 21st and 22nd marked the second annual Harlem EatUp! festival! Once again, bringing together Harlem's best celebrity chefs, artists and musicians from around the country, and celebrating the food and culture that represent those thriving blocks north of New York City's 110th street. As a new found and happy Harlemite, I was excited for another year of paying homage to all that Uptown had to offer! The perfect kick-off to summer, Harlem Eatup! was filled with delectable dishes from local Harlem restaurants, such as Sylvia's, Melba's, Charles' Country Pan Fried Chicken, Blvd Bistro, Row House, Blujeen, Streetbird, Lolo's Seafood Shack, and Chaiwali; dozens of family activities and a Kid's Zone presented by Aetna; free yoga in the park from Lara Land; and performances by DJ Stormin Norman and the WAFFLE Crew. For more information on Harlem Eat Up, click here. Indulging in the ultimate Harlem foodies delight, and the most important part of the festival, <em>Harlem Eat-up!</em> consisted of a two day tasting experience entitled "The Stroll" and "The Taste". On both days, guest indulged in unlimited tastings of Harlem's signature dishes, samplings of craft beer, fine wine, and bespoke cocktails. YUM!